Winter boots are a key essential to every wardrobe. There is nothing quite like putting on some thick socks and a pair of boots before heading out to keep you warm. So like buying a winter coat I always try and buy early eg: before it gets cold because by the time it does everyone is out rushing to buy a winter coat and the sizes go quite quickly. I have put together a selection to share with you for under £50 or under. Just click on the shoe you like and it will take you to the retailer. Which on is your favourite? I am tempted to pick up the Wallis peep toes in either black or cream! Everyone's been commenting on the firetrap ones!!!! Great pick! Chie...you are as bad as me!!!! I love those Ravel and Daniel ones. 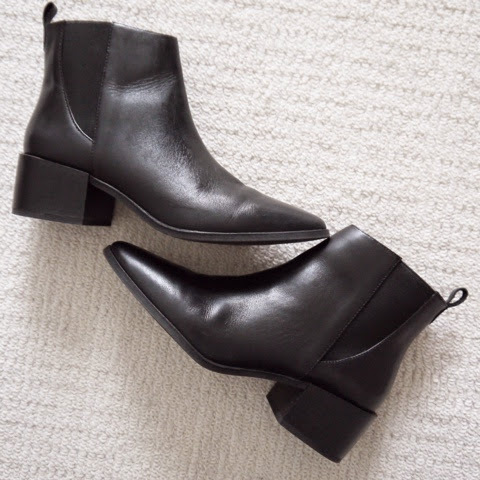 I like ankle boots that have a slight v cut at the front, I've got short stumpy legs so it makes them look longer haha. Almost pay day and I am getting worried about my bank balance!!! Yup I agree those ones will make any legs look longer! I'm addicted to winter boots, this post is very helpful in allowing me to find a better deal! Thank you! Your welcome! Do let me know what you end up buying!